Hope you all can make it! I'm showing with my friend and mentor Joel Nakamura. 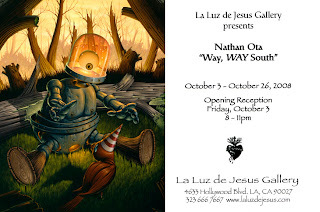 Come by, check out the art and don't forget to say hello. Wanna hit some golf next Saturday?